When you get pregnant, there’s all types of advice suddenly slung your way. And while we’ve previously covered how to deal with those unsolicited bits, we also think there’s something to be said for taking in the experiences of more seasoned mamas, which is why we often pose the question “What advice would you give to a woman about to have her first child?” to our profile subjects. 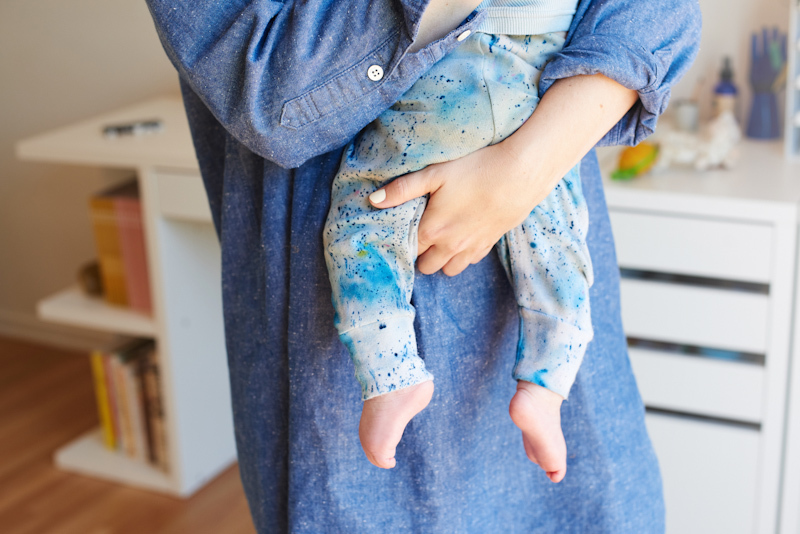 Below, we’ve gathered some of our favorite responses from nearly 50 mamas. Take ’em or leave ’em, we think there’s some good stuff in here to reassure first-time moms-to-be, as well as current mothers further into the game. 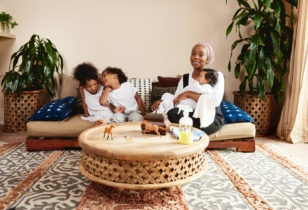 Lawren Howell, stylist, and mother to two. Kate Huling, founder of Marlow Goods, 7-time restaurateur, and mother to Elijah, 15, Beatrice, 10, Roman, 7, and Paloma, 4. 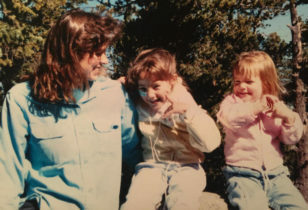 Megan Papay, co-founder of Freda Salvador, and mother to Piper, 8. Maya Jankelowitz, Jack’s Wife Freda co-owner, and mother to Noam, 9, and Bennie, 5. Kelly Harris, co-founder of Bash Please, and mother of Lucy, 3, and Coco, newborn. Katherine Kleveland, Doen designer, and mother to Wilder, 4, and Shepard, 3. Ana Lerario Gellar, showroom owner, and mother to Luna, 5, Anis, 3, and Blanca, 1. Jacqui Saldana, Baby Boy Bakery founder, and mother to Ryan, and Milla, 7 months. Kendra Smoot, stylist, and mother to Stella, 9, Imogen, 4, and Truman, 1. Joy Sunyoung Fitzgerald, illustrator and stylist, and mother to James, 2. Jenny Cooper, Crewcuts designer and mother of Walker, 14, and Miller, 11. Araks Yeramyan, designer, and mother to Aren, 8, and Khoren, 7. Jenni Kayne, designer and retailer, and mother to Tanner and Ripley. Krystle Wilson, model, and mother to Lukas, 3, and Lily, 4 months. Justine D., DJ, cakemaker, and mother to Aoife, 3. Ulla Johnson, designer, and mother of Soren, Asher, and Agnes. Jodie Patterson, DooBop and Georgia NYC founder, LGBTQ activist, and mother to Nain, 25, Georgia, 16, Cassius, 10, Penelope, 8, and Othello, 6. Clare Vivier, designer, and mother to Oscar. Sue Tsai, Nico Nico designer, and mother to Nico, 10. Kristen Crawley, KDIA founder, and mother to Don, 7. Jeanne Chan, co-founder of Harlow & Gray, and mother to Hayden, 5, and Hadley, 3. Erin McKenna, Erin McKenna’s Bakery founder, cookbook author, and mother to Halsey, 4, and Ford, 2. Lauren Soloff, interior designer, and mother to Roman, 9. Elisa Restrepo, Dieppa Restrepo co-founder, and mother to Lucía, 5, and Félix, 2. Christy Dawn Peterson, Christy Dawn founder, and mother to River, 2. Melia Marden, founder of The Smile, and mother to Alfred, 2. Lisa Mayock, Monogram Studio co-founder, and mother to Lucien, 2, and a newborn baby boy. Cheri Messerli, creative and SAHM, and mother to Anouk, 2. Margaret Kleveland, Doen co-founder, and mother to Julian, 1. Temi Adamolekun, Pembroke PR founder, and mother to Rayo, 3. Jessie Baylin, musician, and mother of Violet, 3. Angela Lindvall, model, and mother to Dakota, 14, and Sebastian, 11. Carolyn Murphy, model, and mother to Dylan, 15. Jodie Snyder, Dannijo co-founder, and mother to Margaux, 1. Jessica Rastegar, OBGYN, and mother to Wolf, 2. Jess Brown, designer and rag-doll maker, and mother of Stella, 18, and Tiger, 15. Aelfie Oudghiri, Aelfie founder, and mother to Mirah, 1. Beatrice Valenzuela, designer, Echo Park Craft Fair co-founder, and mother to Astrid, 7, and Dimitri, 2. Michaele Simmering, Kalon Studios co-founder, and mother to Io, 10, and Echo, 7. Heather Winn Bowman, textile designer, and mother to Lola, 2. Youngmi Mayer, Mission Chinese Food and Mission Cantina vet, and mother to Mino, 3. Jen Garrido, artist, See Sun co-founder, and mother to Jemma, 5. Fanny Gentle, artist, and mother to Oscar, 4, and Zelda, newborn. Erica Tanov, designer, and mother of Isabelle, 20, and Hugo, 14. Johanna St. Clair, Mollusk Surf Shop co-founder, and mother to Nina, 11. Karen Mordechai, Sunday Suppers founder, and mother to Sophia, 5. Amanda Jane Jones, artist and graphic designer, and mother to Jane, 3, and Miles, 1. Mara Hoffman, designer, and mother of Joaquin, 5.